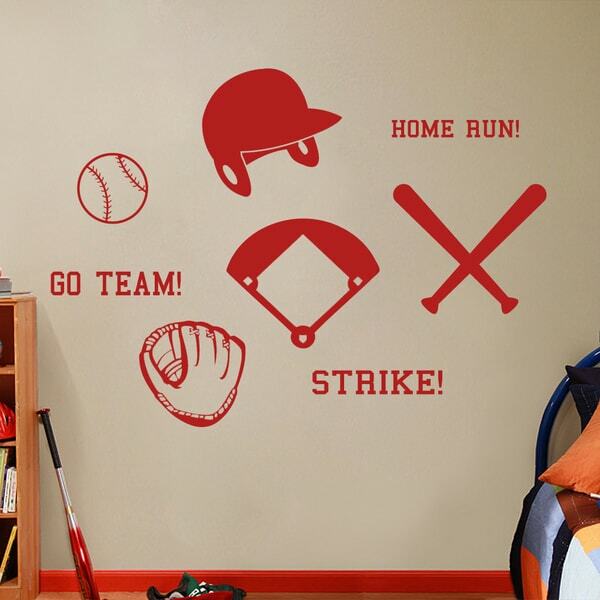 This awesome baseball decal set is just waiting to spice up your walls. Complete with a helmet, baseball diamond, baseball, bats, glove, and a few motivational words, this decal set is perfect for your baseball lover. Place this in a kid's room, nursery or even designed to mature enough for a man cave.